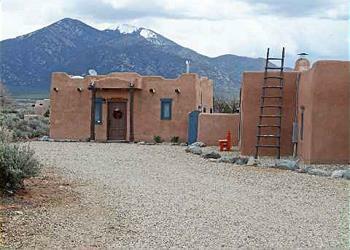 Taos Can~Tina Casita stands as an open spacious art studio of a former Taos artist. 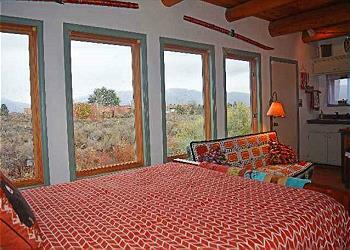 Two window walls fill the room with "magical Taos day light" that so captivated artist / painter Georgia O'Keefe. The two giant north east window walls offer sweeping mountain views of Taos Mountain. 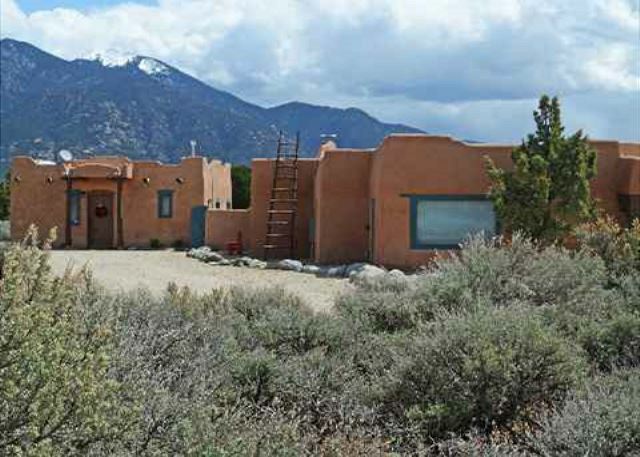 There is no better vantage point in Taos than at Can~Tina Casita for watching "The mountain" change to its glorious crimson / red / purple each evening. 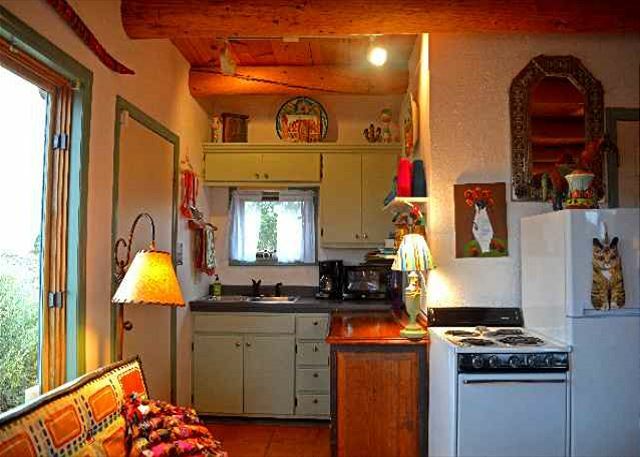 Outfitted with an efficiency kitchenette complete with oven/range and fridge, meals can be prepared for dining in or dining alfresco on the mountain facing patio. 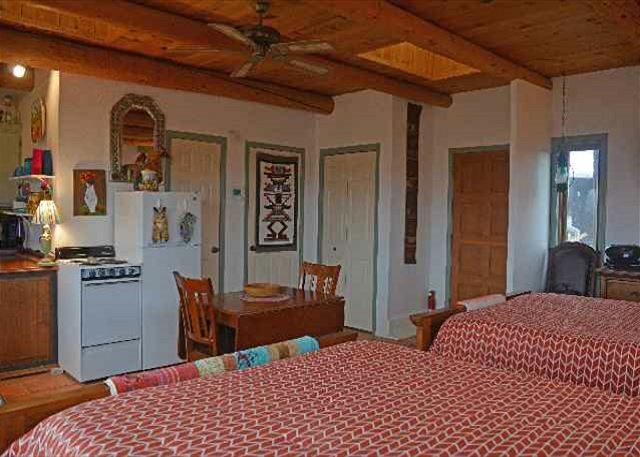 The large flat screen satellite TV and Wi-Fi insure connection to the outside world for those on vacation, or those who come to "work in quiet seclusion". 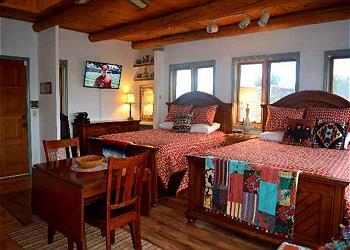 A washer / dryer completes the "in house amenities", making this a complete free standing home away from home. Optimally located as a hub to all that goes on in Taos, Can~Tina Casita is a half mile to "Blueberry Hill Road" to head South to Taos Country Club (open to the public), the Rio Grande River for rafting, the Rio Grande Del Norte National Monument for sights you never dreamed, San Francisco de Assisi Church (most photographed / painted church) and so much more. 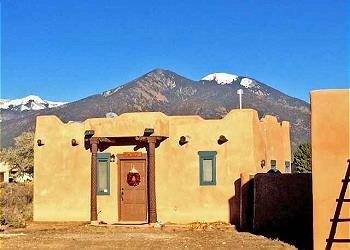 Or, head North to Taos Ski Valley for skiing, snow boarding, hiking, summer mountain air, Arroyo Seco quaint historic village with shops, eateries and the Famous "Taos Cow" for home made ice cream, and or ultimately to the north end of Town for all that it offers including Taos Plaza, galleries, restaurants, museums, Kit Carson's house. 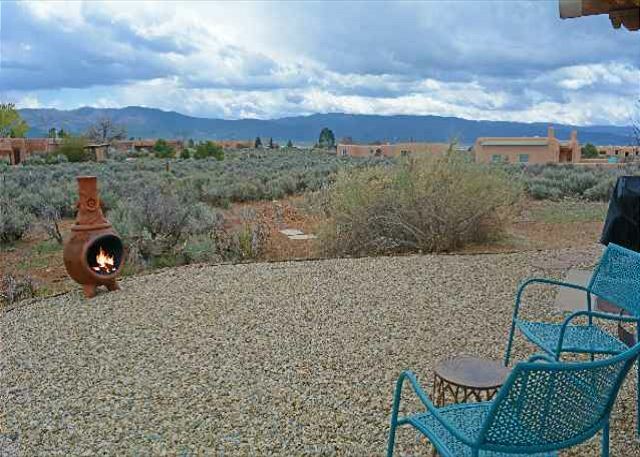 Taos Inn (patio and living room for locals) Or last but not least North-West to the Gorge Bridge to take the south trail for Rio Grande Del Norte National Monument. 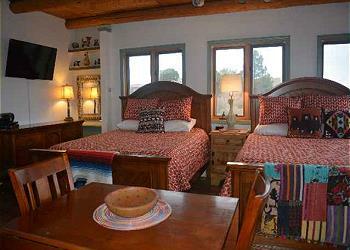 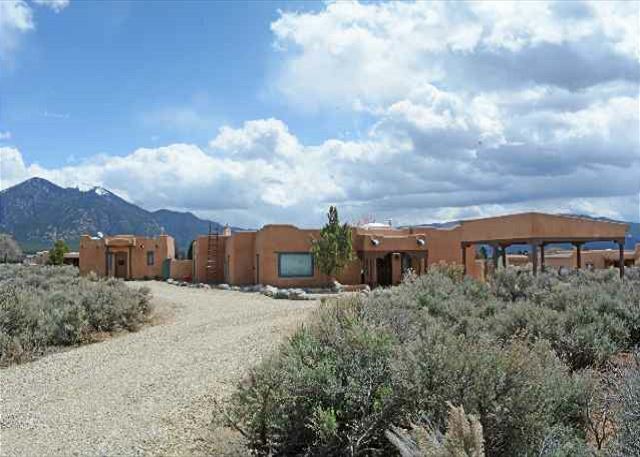 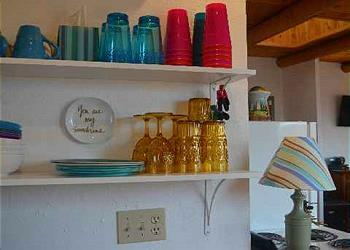 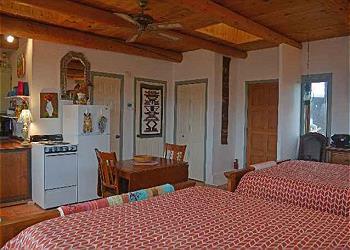 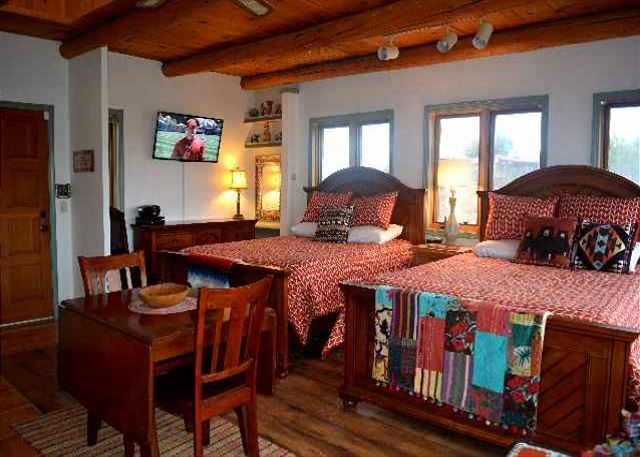 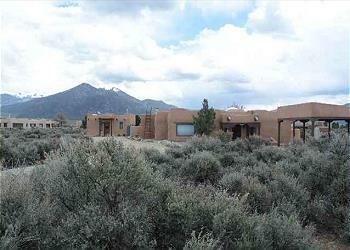 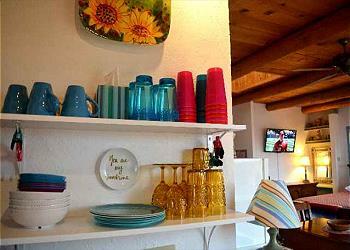 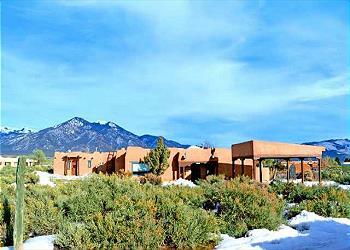 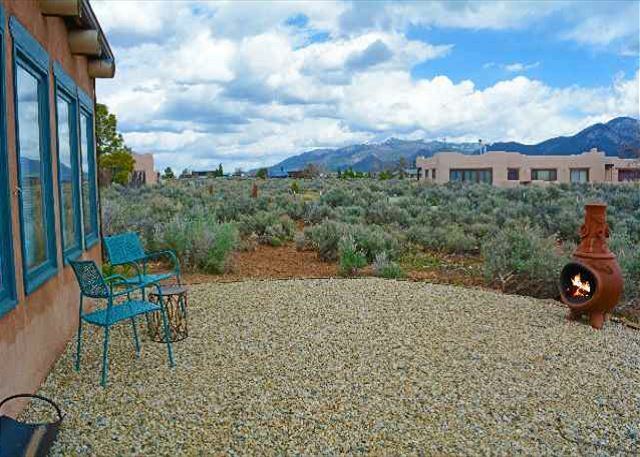 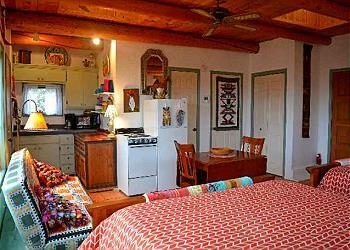 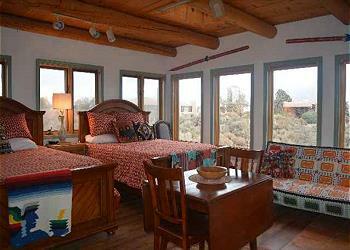 Stay at Can~Tina Casita and enjoy one of the best "Taos getaway" vacation rentals ever!